29th Annual Specialist Education in Extracorporeal Membrane Oxygenation is organized by Johns Hopkins All Children's Hospital and will be held from May 03 - 05, 2019 at Johns Hopkins All Children's Hospital Research and Education Building, St Petersburg, Florida, United States of America. Additional details will be posted as soon as they are available. Blended Introduction to Adult Echocardiography Course is organized by Gulfcoast Ultrasound Institute (GCUS) Inc. and will be held from May 16 - 17, 2019 at Gulfcoast Ultrasound Institute, st petersburg, Florida, United States of America. This Conference has been approved for a maximum of 12.00 AMA PRA Category 1 Credit(s)™. Target Audience: This blended online and hands-on adult echocardiography ultrasound course is intended for sonographers, physicians, physician assistants, nurse practioners and other medical professionals learning how to perform and/or interpret adult echocardiography exams. Participants may include (but are not limited to) radiology, internal medicine, critical care, primary care, emergency medicine, and cardiology professionals. Course Description: Blended Introduction to Adult Echocardiography Course is designed to provide a strong foundation to perform and/or interpret adult cardiac ultrasound examinations. The Blended Introduction to Adult Echocardiography Course is taught by leading echocardiography experts and combines 15 months access to our online course of comprehensive lectures and (2) Two Days (12 Hours) of live scanning at our facility in St. Petersburg, Florida. The scan workshops feature our industry leading 3:1 hands-on scan ratio using live models for the most comprehensive hands-on scan time. For the best ultrasound education experience, completion of the online course prior to hands on scanning is recommended. Topics: • Ultrasound Imaging Fundamentals: The Basics • Introduction to 2D/M-Mode Adult Echocardiography • Introduction to Cardiac Doppler Ultrasound • Echocardiographic Evaluation of Mitral and Aortic Valve Heart Disease • Doppler Evaluation of Mitral and Aortic Valve Heart Disease • Echo Evaluation of Right Heart DIsease • Evaluation of Pericardial Effusions and Cardiac Masses • Echocardiographic Evaluation of Cardiomyopathies • Echocardiographic Evaluation of Coronary Artery Disease • Echocardiographic Evaluation of Diastolic Function • Contrast Echocardiography Course Objectives: • Increase the participant’s knowledge to better perform and/or interpret Echocardiography examinations. • Demonstrate proper transducer manipulation and system optimization to produce diagnostic images (sonographer) and recognize potential imaging errors (Physician). • Demonstrate routine scan protocols to evaluate an adult patient using 2D/M-Mode/Color Flow & • Doppler echocardiographic techniques. • Perform standard 2D, m-mode and Doppler measurements. • Identify normal/abnormal characteristics of 2D cardiac anatomy. • State the role of cardiac Doppler and list the necessary qualitative/quantitative measurements. • Identify the ultrasound findings associated with valvular heart disease, cardiomyopathies, ischemic heart disease, pericardial disease and cardiac masses. • List the latest imaging techniques in quantification of right and left ventricle wall motion. Document findings and apply standardized guidelines during compilation of an Echocardiography worksheet (sonographer) and dictated report (Physician). • List the steps necessary for system optimization during contrast echo imaging. • Increase confidence to incorporate protocols, techniques & interpretation criteria to improve diagnostic/treatment accuracy. Blended Introduction to Carotid Duplex/Color Flow Imaging and Transcranial Doppler Ultrasound Course is organized by Gulfcoast Ultrasound Institute (GCUS) Inc. and will be held from May 16 - 17, 2019 at Gulfcoast Ultrasound Institute, st petersburg, Florida, United States of America. This Conference has been approved for a maximum of 12.00 AMA PRA Category 1 Credit(s)™. Target Audience: Sonographers, physicians, physician assistants and other medical professionals learning how to perform and/or interpret carotid duplex and/or transcranial doppler examinations. Participants may include (but are not limited to) those involved with internal medicine, cardiology, radiology, neurology, general/vascular surgery, and primary care. Course Description: Blended Introduction to Carotid Duplex/Color Flow Imaging and Transcranial Doppler Ultrasound Training Course is taught by leading vascular ultrasound experts and offers fifteen (15) months unlimited access to (2) Two online courses, plus Two (2) Days (12 Hours) scan lab with a 3:1 faculty to participant hands-on scan ratio at our facility in St. Petersburg, FL. The Blended Introduction to Carotid Duplex/Color Flow Imaging and Transcranial Doppler Ultrasound Course is specifically designed for busy physicians, sonographers and other medical professionals taught in accordance with AIUM and IAC guidelines to increase diagnostic skills and scanning proficiency for interpreting Carotid and TCD Ultrasound Examinations. For the best ultrasound education experience, completion of the online course prior to hands on scanning is recommended. Topics: • Doppler & Color Fundamentals • Carotid Anatomy & Physiology • Normal Spectral Analysis • Carotid Scan Protocol • Disease Progression & Stenosis Assessment • Carotid Imaging Pitfalls • Interactive Case Studies • Evaluation & Measurement of Intima-Media Thickness • Carotid Abnormalities • How to Structure a Report • Transcranial Doppler History • Neuroanatomy • TCD Examination Techniques • Clinical Applications • Subarachnoid Hemorrhage • AVM, Cerebrovascular Reactivity, Trauma • Brain Death, Emboli, Cerebrovascular Disease • Intracranial Stenosis, Intracranial Occlusion • Sickle Cell Disease, PFO Course Objectives: • Increase the participants’ knowledge to better perform Carotid Duplex/Color Flow Imaging ultrasound examinations. • Apply knowledge of the anatomy/physiology of the cerebrovascular system into the Carotid Duplex examination. • Perform routine scan protocols, and Doppler calculations in a complete carotid duplex/color examination. • Differentiate normal/abnormal spectral Doppler/color characteristics. Perform Intima-Media Thickness measurements and evaluation and state the clinical significance as a screening method for cardiovascular disease. • Increase participant's knowledge to better perform and/or interpret TCD/TCI examinations. • Demonstrate standard scan techniques for performing a TCD and TCI exam. • Recognize normal and abnormal intracranial Doppler spectral waveform characteristics. • Apply diagnostic criteria for TCD/TCI interpretation. • State the clinical applications and limitations of TCD/TCI examinations. • Increase knowledge and confidence to integrate the skills learned in a clinical setting. Blended Introduction to Carotid Duplex/Color Ultrasound Course is organized by Gulfcoast Ultrasound Institute (GCUS) Inc. and will be held on May 16, 2019 at Gulfcoast Ultrasound Institute, st petersburg, Florida, United States of America. This Conference has been approved for a maximum of 6.00 AMA PRA Category 1 Credit(s)™. Target Audience: Sonographers, physicians, physician assistants and other medical professionals learning how to perform and/or interpret carotid duplex/color examinations. Participants may include (but are not limited to) those involved with internal medicine, cardiology, radiology, neurology, general/vascular surgery, and primary care. Course Description: Blended Introduction to Carotid Duplex/Color Ultrasound Course will give you a strong foundation in order to begin performing and/or interpreting Carotid Ultrasound Examinations. This vascular ultrasound hands-on course/program includes 15 months access to a comprehensive online course combined with an extensive (1) One Day (6 Hours) Hands On Scanning Workshop. The hands-on scan workshop features our industry leading 3:1 participant to faculty scan ratio with live models. For the best ultrasound education experience, completion of the online course prior to hands on scanning is recommended. Topics: • Doppler and Color Fundamentals: Vascular Ultrasound • Carotid Anatomy and Physiology • Normal Carotid Spectral Analysis • Carotid Scan Protocol • Carotid Duplex/ Color Ultrasound Scan Protocol: Live Demonstration • Carotid Stenosis Assessment • Ultrasound Evaluation of Intima-Media Thickness • Challenging Carotid Case Studies • Non-Atherosclerotic Carotid Abnormalities Course Objectives: • Increase the participants’ knowledge to better perform and/or interpret Carotid Duplex/Color Flow • Imaging ultrasound examinations. • Apply knowledge of the anatomy/physiology of the cerebrovascular system into the Carotid Duplex examination. • Cite Doppler/color physics principles and be able to (sonographers) apply these principles to optimize system controls and/or (physicians) utilize this information for identifying technical errors which may result in misdiagnosis. • Perform routine scan protocols, and Doppler calculations in a complete carotid duplex/color examination. • Differentiate normal/abnormal spectral Doppler/color characteristics. • List methods for obtaining quantitative information and state the diagnostic relevance of each measurement. • Characterize plaque morphology and other pathology associated with cerebral vascular disease. • Perform Intima-Media Thickness measurements and state the clinical significance as a screening method for cardiovascular disease. • Integrate the information to include and prepare a structured report for a carotid ultrasound examination. Apply diagnostic criteria for accurate interpretation of carotid duplex/color flow examinations. Increase the participants’ knowledge to better perform and/or interpret upper and lower Peripheral Vascular ultrasound examinations. Blended Introduction to Peripheral Vascular Duplex/Color Flow Ultrasound Course is organized by Gulfcoast Ultrasound Institute (GCUS) Inc. and will be held on May 17, 2019 at Gulfcoast Ultrasound Institute, St Petersburg, Florida, United States of America. This Conference has been approved for a maximum of 6.00 AMA PRA Category 1 Credit(s)™. Target Audience: Sonographers, physicians, physician assistants and other medical professionals learning how to perform and/or interpret peripheral vascular duplex/color flow examinations. Participants may include (but are not limited to) those involved with internal medicine, cardiology, radiology, neurology, general/vascular surgery, and primary care. Course Description: Blended Introduction to Peripheral Vascular Duplex/Color Flow Ultrasound Course is the first step in obtaining a strong foundation to begin performing and/or interpreting upper & lower extremity peripheral arterial and venous ultrasound examinations. The Blended Introduction to Peripheral Vascular Duplex/Color Flow Ultrasound Course provides 15 months unlimited access to the course lectures in an online course format and a (1) One Day (6 Hours) live hands-on scanning workshop at our facility in St. Petersburg, FL. 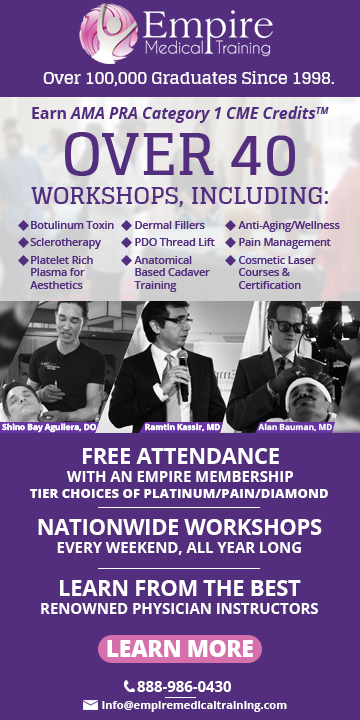 The live hands-on scan workshop features a 3:1 scan ratio with live models and expert instruction from world-renowned faculty. For the best ultrasound education experience, completion of the online course prior to hands-on scanning is recommended. Course Topics: • Venous Anatomy, Scan Techniques & Normal Characteristics • Duplex / Color Evaluation of LE, UE DVT • Evaluation of Venous Insufficiency • Duplex / Color Evaluation for Venous Ablation Procedures • Types of Vein Ablation Procedures • Pre-Procedure Mapping • Post-procedure Mapping • LE Arterial Anatomy & Physiology • Clinical Exam & Indirect Testing • Direct Testing & Duplex Scanning Course Objectives: • Increase the participants’ knowledge to better perform and/or interpret upper and lower Peripheral Vascular ultrasound examinations. • Apply knowledge of the anatomy/physiology of the upper & lower extremity venous and arterial systems into the venous & arterial duplex and physiologic testing examinations. • Cite Doppler/color physics and be able to (sonographers) apply these principles to optimize system controls and/or (physicians) utilize this information for recognizing technical errors which may result in misdiagnosis. • Perform routine scan protocols and document Doppler waveforms for lower extremity arterial and venous evaluations of the upper and lower extremity. • Differentiate normal/abnormal imaging, spectral Doppler and color characteristics for identifying the arterial and venous disease. • State the indications and applications of indirect testing methods for lower arterial disease. • Demonstrate vein mapping techniques to identify suitability as a potential arterial bypass graft. • Perform routine scan protocols and document Doppler waveforms for venous evaluation of the lower extremities, including pre and post vein ablation evaluation. • State the role of ultrasound in the diagnosis and treatment of venous insufficiency. • Perform an evaluation for venous insufficiency and patency of perforators for vein therapy treatment. Blended Introduction to Emergency Medicine and Advanced Emergency Medicine/Critical Care Ultrasound Course is organized by Gulfcoast Ultrasound Institute (GCUS) Inc. and will be held from May 20 - 21, 2019 at Gulfcoast Ultrasound Institute, St Petersburg, Florida, United States of America. This Conference has been approved for a maximum of 12.00 AMA PRA Category 1 Credit(s)™. Target Audience: This Blended Introduction and Advanced Emergency Medicine Ultrasound course is intended for any medical professional involved with performing ultrasound examinations in an emergency, critical care, or related setting. 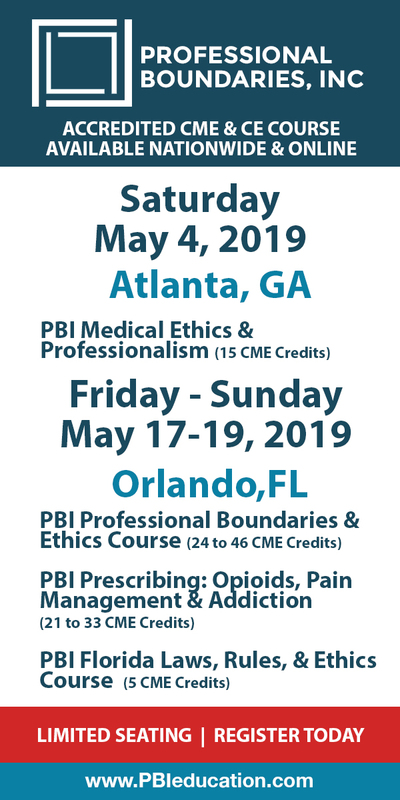 Participants may include but are not limited to emergency and critical care physicians, surgeons, hospitalists, physician assistants, nurse practitioners, sonographers, internal medicine physicians, and any other medical professionals. Course Description: Blended Introduction to Emergency Medicine and Advanced Emergency Medicine/Critical Care Ultrasound Course is intended for any medical professional involved with performing emergency medicine, critical care, or point-of-care ultrasound examinations. The Blended Introduction to Emergency Medicine and Advanced Emergency Medicine/Critical Care Ultrasound Course is designed to provide a strong foundation to perform the introduction and advanced ultrasound applications as outlined in the ACEP emergency ultrasound practice guidelines and WINFOCUS. Taught by leading emergency medicine and critical care ultrasound faculty, this self-directed course contains Two (2) Online Courses containing multiple modules and includes recommended reading assignments, online video lectures, case presentations, and post-activity quizzes. Enrollment is valid for fifteen (15) months for both online courses and begins the moment the participant is enrolled in them. Combined with Two Days (12 Hours) of dedicated hands-on scanning at our facility in St. Petersburg, FL you will be scanning live models and inanimate phantoms with a 3:1 participant to faculty scan ratio. After this course, participants will see a noticeable increase in diagnostic and scanning skills and immediately be able to implement skills learned in clinical practice. For the best ultrasound education experience, completion of the online course prior to hands-on scanning is recommended. Course Topics: • Imaging Fundamentals • Emergency Ultrasound for Obstetrical and Gynecological Conditions • Ectopic Pregnancy • Spontaneous Abortion • PID and Masses • Ultrasound-Guided Vascular Access (3 Parts) • Abdominal Scanning Fundamentals • Ultrasound in Trauma: FAST and E-FAST • Abdominal Cases in Emergency Medicine-Renal • Abdominal Cases in Emergency Medicine-Biliary and AAA • Focused Cardiac Ultrasound • Rapid Ultrasound for Shock and Hypotension • Ultrasound-Guided Emergency and Critical Care Procedures • Evaluation of DVT • Abdominal Sonography Anatomy Overview and Scan Fundamentals • Ultrasound Evaluation of the Abdominal Aorta • Focused Assessment with Sonography in Trauma • Intro to Lung Ultrasound: The Basics • Advanced Lung Ultrasound Applications • Ultrasound-Guided Vascular Access • Ultrasound-Guided Procedures • Bedside Sonography: The Focused 2D Echo • Rapid Ultrasound for Shock and Hypotension • Introduction to Cardiac Doppler Ultrasound • Ultrasound Evaluation of Heart Failure • Bedside Sonography: Venous Imaging Course Objectives: • Increase participant’s knowledge to better perform and/or interpret Emergency ultrasound examinations • State the basic fundamentals of ultrasound physics and demonstrate appropriate optimization of system controls. • Perform an ultrasound evaluation of the trauma patient (E-FAST exam) and pneumothorax. • Demonstrate scan protocols for focused evaluation of the abdomen, aorta, female pelvis and adult heart. • State an algorithm for uses of bedside ultrasound during cardiac arrest, shock & hypotension. • Demonstrate image orientation, transducer preparation, and scan protocols for performing the use of ultrasound guidance for vascular access, pericardiocentesis, paracentesis, hemothorax, lumbar puncture, ET placement. • Demonstrate protocol for focused evaluation of DVT. • Differentiate normal/abnormal image characteristics of the abdomen, female pelvis, first trimester OB, and ectopic pregnancy. • Increase competence to incorporate protocols, scan techniques, and interpretation criteria into clinical practice. • Increase the participant’s knowledge to better perform and/or interpret Emergency Medicine & Critical Care Ultrasound examinations. • Identify sonographic characteristics associated with abdominal sepsis involving the hepatobiliary, renal, and GI systems. • Outline indications and applications of color Doppler in the emergency and critical care setting. • Perform ultrasound evaluation of the lung, ocular, soft-tissue, musculoskeletal and bony cortices in the emergency department. • Demonstrate the use of ultrasound guidance for peripheral vascular access. • State principles of spectral and cardiac Doppler fundamentals and apply quantitative methods to evaluate acute valvular abnormalities. • Recognize the sonographic appearance of individual nerves and list the advantages provided when ultrasound is used for performing regional nerve blocks. • Evaluate fluid responsiveness in the critically ill patient. • Perform testicular ultrasound and recognize acute abnormalities. • Increase confidence to incorporate protocols, scan techniques, and interpretation criteria to improve diagnostic/treatment accuracy.